Celtic Woman, the Destiny Tour - Otter Productions Inc. | Otter Productions Inc. Celtic Woman, the Destiny Tour - Otter Productions Inc. The heart of Ireland beats true… Billboard’s #1 World Albums Artist (6 times), multi-platinum Irish music sensation Celtic Woman visit the Performing Arts Center in San Luis Obispo in their debut Central Coast performance on Wednesday, May 18, 2016 at 7:30 p.m. Celtic Woman, with their brand new show, “Destiny,” celebrates the simultaneous release of their new album and DVD, also titled DESTINY, honoring Ireland’s past, while bringing a contemporary musical edge to songs old and new in a way that also reflects the vibrant, modern nation that Ireland has become. 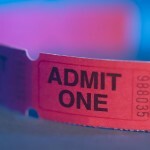 Advance reserved tickets will go on sale Friday February 5th at noon; online at www.pacslo.org and at the PAC Box Office on the Cal Poly Campus, call (805) 756-4TIX (756-4849). Tickets $40-$78 plus service charges. All ages. Celtic Woman showcases three world-class vocalists Mairéad Carlin, Susan McFadden and newest member Éabha McMahon and brilliant Celtic violinist Máiréad Nesbitt accompanied by a group of equally talented musicians and dancers whose exceptional skills and high energy bring a fresh fusion to centuries of musical and cultural tradition. 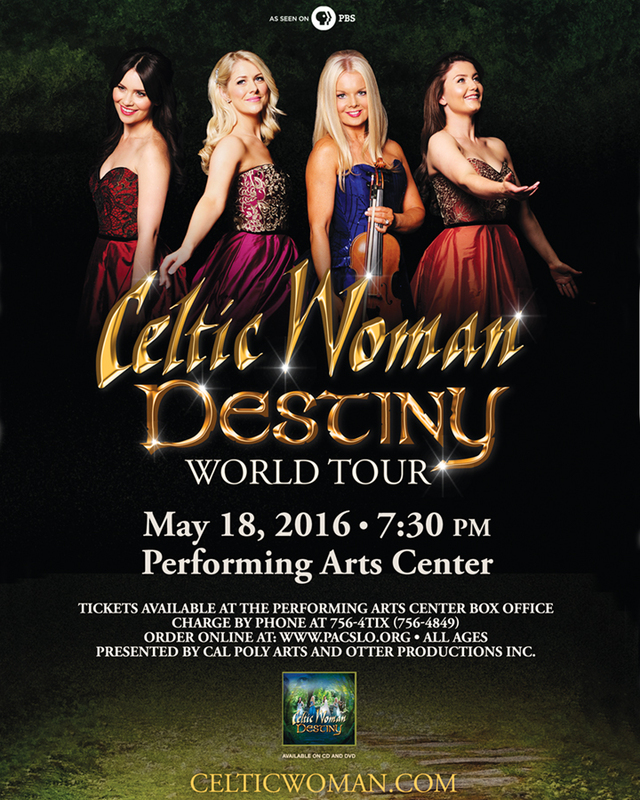 Celtic Woman at the Performing Arts Center in San Luis Obispo, Wednesday, May 18, 7:30 p.m. Tickets range from $50 – $90. Advance Reserved tickets will go on sale as of noon Friday, February 5 at the PAC Box Office on the Cal Poly Campus, call (805) 756-4TIX (756-4849), or order on line at: www.pacslo.org. The Performing Arts Center is on the Cal Poly Campus at One Grand Avenue, SLO. All Ages. Advance reserved tickets will go on sale Friday February 5th at noon; online at www.pacslo.org and at the PAC Box Office on the Cal Poly Campus, call (805) 756-4TIX (756-4849). Tickets $40-$78 plus service charges. All ages.